Known variously as satsuma or mandarin orange, the tangerine (Citrus reticulata) is a common citrus species prized for its juicy, easy-to-peel fruit and tidy growth habit. It is best propagated using grafting to preserve its favorable characteristics, but it will also grow from fresh seeds. Tangerine seeds require no pretreatment and will germinate reliably if properly planted and cared for. The resulting trees, however, may not resemble or bear fruit like the parent tree. Tangerine seeds germinate best when fresh, so gather them in late winter or early spring when the fruit is ripe and in season. Each tangerine contains a handful of small, teardrop-shaped seeds, which must be picked through and cleaned before sowing. Throw out any discolored or shriveled seeds because they might not germinate. The pale, healthy seeds should be rinsed in clean, cool water to remove any sugary residue, then sown immediately before they dry out. If immediate sowing isn't possible, dry the seeds overnight between two sheets of paper towel and store them in in a bag of moistened peat moss inside the refrigerator until ready for use. Good drainage and clean, sterile growing medium are both vital when planting tangerine seeds. Clean a draining, 3-inch clay or plastic pot in a sanitizing solution of 9 parts water and 1 part bleach. Scrub it well and soak it in the solution for five minutes, rinse it thoroughly and rub it dry with a clean cloth. 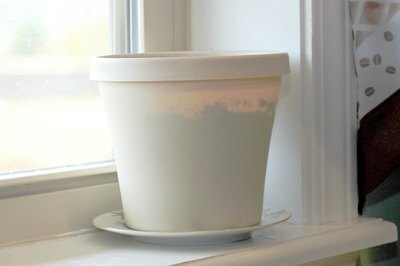 Fill the pot with moistened seed-starting medium such as milled peat or coir. If using peat, soak it in water until it plumps up before adding it to the pot. Sow one tangerine seed at a depth of 1/4 inch in the center of the medium. Warmth, moisture and light all play a role in germinating tangerine seed. 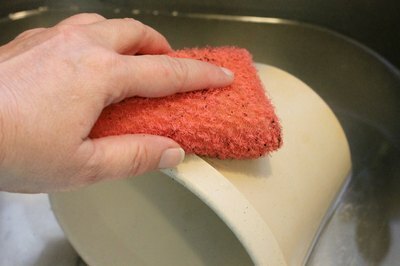 The medium must be kept consistently but lightly moist -- that is, it mustn't be allowed to dry out completely but neither should it feel soggy. Water whenever the surface feels nearly dry when pressed, and add water just until it trickles from the base of the pot. 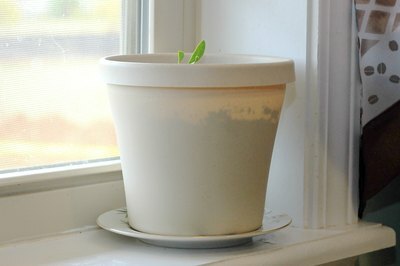 Tangerine seeds need temperatures above 70 degrees Fahrenheit to germinate, so place the pot near an unshaded, south-facing window and warm the base with a propagation mat. Healthy tangerine seeds often germinate in just two weeks, but some can take up to two months, so be patient. Once sprouted, tangerine seedlings should be transplanted into draining, 5-inch pots filled with fresh, acidic potting soil specifically formulated for citrus trees. Position the seedling with a southerly exposure to provide adequate light for growth, and keep the soil moist. Move the tangerine seedling to a sheltered area outdoors in spring once temperatures warm to above 65 degrees Fahrenheit. Slowly acclimate it to direct sunlight for several weeks. Gardeners within U.S. Department of Agriculture plant hardiness zones 8B to 11 can plant the tree in the ground in spring or autumn, while gardeners in cooler areas are better off planting in pots so the tree can be brought indoors during cold weather. 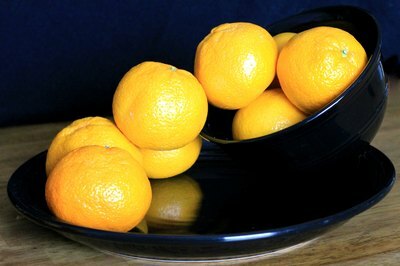 Most tangerine fruit sold in stores come from trees of specific cultivars, such as "Owari" (Citrus reticulata "Owari") and "Dancy" (Citrus reticulata "Dancy"). They are propagated asexually using cuttings or grafts to reproduce their favorable traits without the risk of genetic mutations, a common occurrence in seed-grown fruit trees. Germinating seeds from a store-bought tangerine will produce a tree, but it is unlikely to bear fruit of comparable quality. On the bright side, the trees will still have the same attractive foliage, tidy growth habit and dainty, highly fragrant flowers, so they will still lend ornamental value to your home. Do Tangerine Trees Need Cross-Pollination? What is Vegetative Planting and How Does it Work?